Emma Thompson: Famous Television Actor, Film Director, Film Actor, Comedian, Stage Actor, Actor, and, Screenwriter. Jeffrey Archer: Famous Novelist, Writer, Politician, Playwright, Children's Writer, and, Science Fiction Writer. Henry James: Famous Poet Lawyer, Novelist, Writer, Literary Critic, Playwright, and, Screenwriter. Died on 1916-02-28 at the age of 72 years old. Frank Vincent: Famous Voice Actor, Actor, Writer, Musician, Film Actor, and, Television Actor. Died on 2017-09-13 at the age of 80 years old. Anne Michaels: Famous Writer, Novelist, Poet, University Teacher, and, Pedagogue. Elliot Tiber: Famous Screenwriter, Writer, Artist, Painter, and, Librettist. Died on 2016-08-03 at the age of 81 years old. Roy Clark: Famous Guitarist, Singer, Banjoist, Musician, and, Songwriter. Died on 2018-11-15 at the age of 85 years old. Benjamin Zephaniah: Famous Actor, Writer, Poet, and, Singer. A. Philip Randolph: Famous Socialist, Civil Rights Advocate, Trade Unionist, and, Politician. Died on 1979-05-16 at the age of 90 years old. Cressida Cowell: Famous Writer, Author, and, Children's Writer. Susanne Bier: Famous Screenwriter, Film Director, and, Film Producer. George Mikell: Famous Screenwriter, Actor, and, Writer. Bessie Smith: Famous Singer, Musician, and, Street Artist. Died on 1937-09-26 at the age of 43 years old. 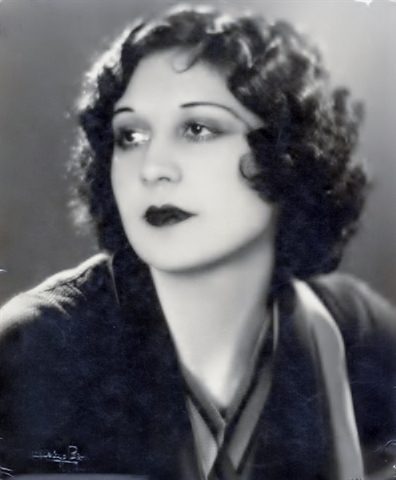 Lita Grey: Famous Actor, Autobiographer, and, Film Actor. Died on 1995-12-29 at the age of 87 years old. David Hamilton: Famous Film Director, Photographer, and, Screenwriter. Died on 2016-11-25 at the age of 83 years old. Emma Watson: Famous Model, and, Film Actor. Claudia Cardinale: Famous Film Actor, and, Actor. Dodi Fayed: Famous Entrepreneur, and, Film Producer. Died on 1997-08-31 at the age of 42 years old. Neville Marriner: Famous Conductor, and, Composer. Died on 2016-10-02 at the age of 92 years old. Died on 1948-07-21 at the age of 44 years old.